José Miguel Sánchez Gómez, better known as Yoss, visited UConn to present the English editions of his novels Se alquila un planeta (translated as Planet for Rent) and Super Extra Grande. Yoss is an outstanding Cuban writer with an extensive body of published work, including science fiction and fantastic literature as well as realistic narrative and literary criticism. Yoss kindly accepted my invitation to be interviewed for Radio ciudad perdida, my radio show at WHUS. We talked about his work, the relations between the United States and Cuba, science fiction in Cuba and Latin America, and the influence of music in his work, from Wagner and Richard Strauss to Latin American rock and, especially, heavy metal, including his own band Tenaz. 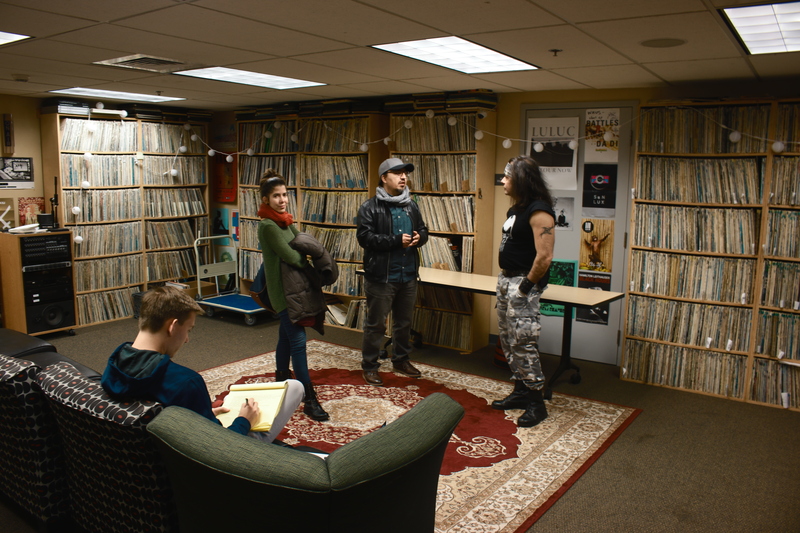 This interview was made possible thanks to professors Jacqueline Loss and Odette Casamayor from the Department of Literatures, Languages, and Cultures at UConn and with logistic support from Milena Almira and Ernesto René Rodríguez (The interview was entirely in Spanish).